This report summarizes findings from a series of 2014 research studies that examined book checkout patterns in Room to Read libraries in Nepal, South Africa, and Sri Lanka (both Sinhala-and Tamil-medium schools). The studies found that children prefer Room to Read-published titles to those not published by Room to Read. The studies also found that folklore and fantasy titles are the most popular genre and that titles at beginning reading levels are more popular than titles at advanced reading levels. 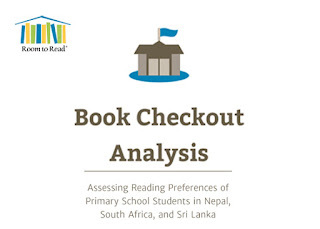 Additionally, the studies found that opportunities exist to diversify the books Room to Read provides to schoiols and to increase students use of books in the library.